A manual-equipped, aids off C7 Z06 hits the Nurburgring. Germans are awesome. 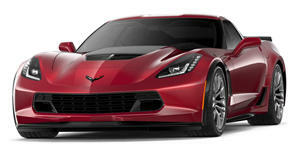 The Chevrolet Corvette has been called many things by its naysayers over the decades. Sometimes the criticism is deserved, but a majority of the time, no. The Corvette, despite some of its past issues (we’re thinking interiors) is now a fully-fledged, world class high-performance machine. But there are still those who like nothing more than to smack talk America’s sports car. Fine. Let them talk. But they’re wrong. German publication Sport Auto knows they’re wrong too, and figured a good way to prove themselves right would be to take a seven-speed manual-equipped C7 Z06 (with the Z07 package) to the Nurburgring and just go for it. Driver aids turned off. The resulting time? Try 7:13.9. Giving that some context, this is actually the third fastest lap time Sport Auto has ever done at the Ring. It’s also about as fast as the Mercedes-AMG GT R they previously tested there. Sport Auto is known for taking cars to the Green Hell and, sometimes, achieving faster lap times than manufacturers. But what if this same and highly skilled driver had the same Z06, only with the optional eight-speed automatic. Or, say if the driver was swapped in favor of GM’s own pro driver, Jim Metro, at the helm. Could the C7 Z06 dip below 7:10 (though still not sub-6:59)? We certainly like to think so.